Apex Pension Strategies, Inc. was established to work with companies needing the most assistance - those small to medium sized companies that may not be able to operate within the confines of an ever-changing set of requirements, since the executives at these companies have many responsibilities, not just managing their retirement plans. We are pension experts who assist companies in working through the continuously changing regulatory environment. Our approach is efficient and sensible, combining extensive experience, superior client service and the highest quality standards learned from the bigger firms but providing it to smaller companies at a lower cost. Manage risk by shifting the burden of compliance to experts. Focus on growing your business while we take care of your company's retirement plan. Leverage your retirement plan to gain a strategic advantage. Apex knows and applies the rules, considers the culture and demographics of each client, and communicates complex topics in an understandable way. With an efficient and sensible manner that relies on extensive experience, superior customer service and the highest quality standards, Apex can assist your company in establishing and maintaining a smart pension plan in today's ever-changing regulatory environment. One of our most important services is the right Pension Strategy. Retirement plans should be designed to complement your company, further your mission, and help provide financial security for your employees. Apex can help. 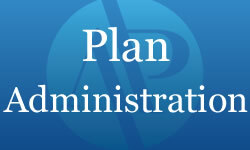 Apex will assist you in explaining the plan design. We will help project the benefits so you can motivate employees by explaining your retirement plan in simple and understandable terms. Sometimes, that independent voice is all your employees need.